“The fact is that there is a clear conspiracy hatched by the Nigerian government, which is seeking to gradually kill Sheikh Zakzaky,” Yousef Hamza said in an interview. A Nigerian political activist decried the continued imprisonment of top Muslim cleric Sheikh Ibraheem Zakzaky, whose health is deteriorating, and said the Abuja government is seeking to gradually kill the popular figure. Of course, some Islamic states that are in cahoots with the US and Israel are involved in the conspiracy to murder the top cleric, he added. 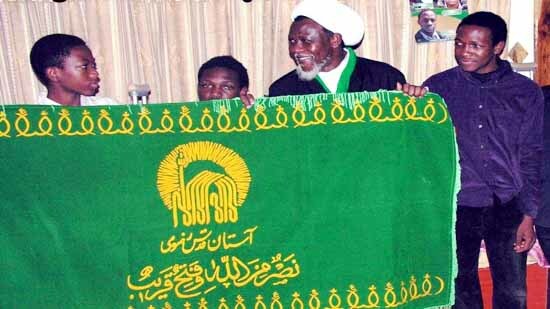 The activist went on to say that the Nigerian government’s intention is to make sure that Sheikh Zakzaky will suffer the same fate as that of the martyr Mohammed Baqir al-Sadr, who was executed by former Iraqi dictator Saddam Hussein. In early December 2016, Abuja division of the Federal High Court of Nigeria ruled that Sheikh Zakzaky and his wife Zeenat should be released unconditionally, but the government has refused to comply with the ruling. The prominent cleric and his wife were taken into custody on December 14, 2015, after Buhari army attacked members of the Islamic Movement in Nigeria which hundreds killed and injured. Hundred members of the Islamic movement were killed in the clashes. The sheikh was brutally injured and his house was reportedly destroyed by the army in the incident.